This novel is a light and fun look at the problems encountered by heroine Gemma Stone, especially those brought on by her alter ego 'Jessica Jupiter', the agony aunt for the school magazine – the focus is on friendship, boys and trying to survive year 9. Gemma and her best friend 'Treacle' are bright and likeable, but Gemma wants to be taken seriously as a journalist, whilst Treacle is concerned about meeting her boyfriend's parents. Things get really interesting when they think they overhear a local nightclub owner making a drugs deal. How are they going to stop him without putting themselves or their friends in danger? This is a thoroughly enjoyable read, with lots of humour. 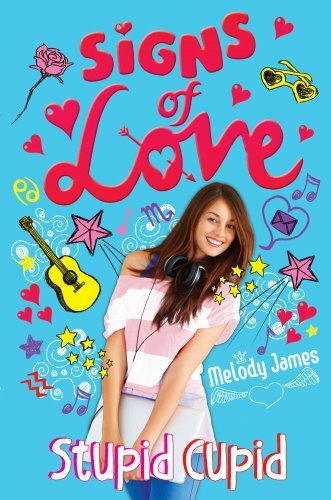 It is the second book in the 'Signs of love' series and I can see them doing well. They will particularly appeal to those girls who want a light relaxing read.